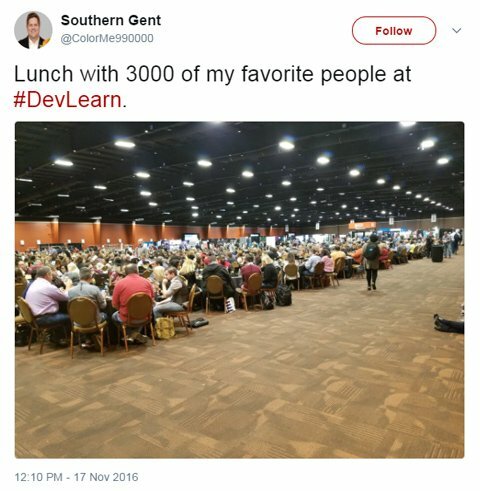 DevLearn 2017 Conference & Expo · Why Come to DevLearn? You’ve got your heart set on attending DevLearn 2017, and now it’s time to get approval from your boss! Let’s face it, a conference is a significant investment (of both time and budget), and there are many L&D events out there to choose from. The points below can help you convince your supervisor that sending you to DevLearn is the right fit to help solve the challenges your team faces. Take whatever you like, and put it in an email or letter of your own. DevLearn Conference & Expo’s dedication to the greatest leading-edge technologies in learning could help our team gain a stronger sense of what’s available and how we can put these tools and techniques into practice. The DevLearn program is created by learning professionals. 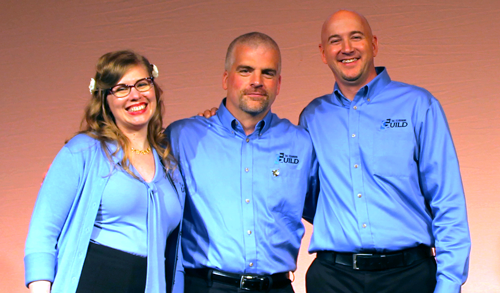 The program team comes from the fields of instructional design, eLearning development, and L&D leadership. They pride themselves on staying current with what matters most. Experts will discuss the cutting-edge industry trends and learning strategies impacting our organization. The practical, focused sessions are future-leaning, and they’ll show us how to solve our team’s challenges and use today’s technology in better, more innovative ways. It’s a networking opportunity that can’t be compared. DevLearn creates the space for easy knowledge sharing so I’ll learn from peer experiences that only come from unscripted conversations. I’ll head back to the office with fresh ideas for my work, and new contacts that our team can reach out to after the conference. DevLearn offers the value of a large, comprehensive conference, plus the benefits of smaller-group experiences. These activities include Morning Buzz, an opportunity to meet new people and share best practices, insights, and tips; and DemoFest, which provides a glimpse at what other companies are creating in the L&D space and the chance to discuss the solutions with the people who designed and developed them. The expo is filled with more than 120 leading industry suppliers and the latest and greatest tools and technologies, all ready to help us solve our organization’s biggest challenges. Learn more about what to expect at DevLearn in the conference brochure. We’ve provided this schedule worksheet for you to outline the sessions you will attend, and explain how these sessions could help solve your organization’s challenges. Feel free to use the sessions and notes in the example, or to input your own. We’ve provided this worksheet for you to estimate your costs of attendance. If you have any questions about the event, please reach out to the programing team at programs@eLearningGuild.com. The program team includes (from left) Bianca Woods, David Kelly, and Mark Britz.